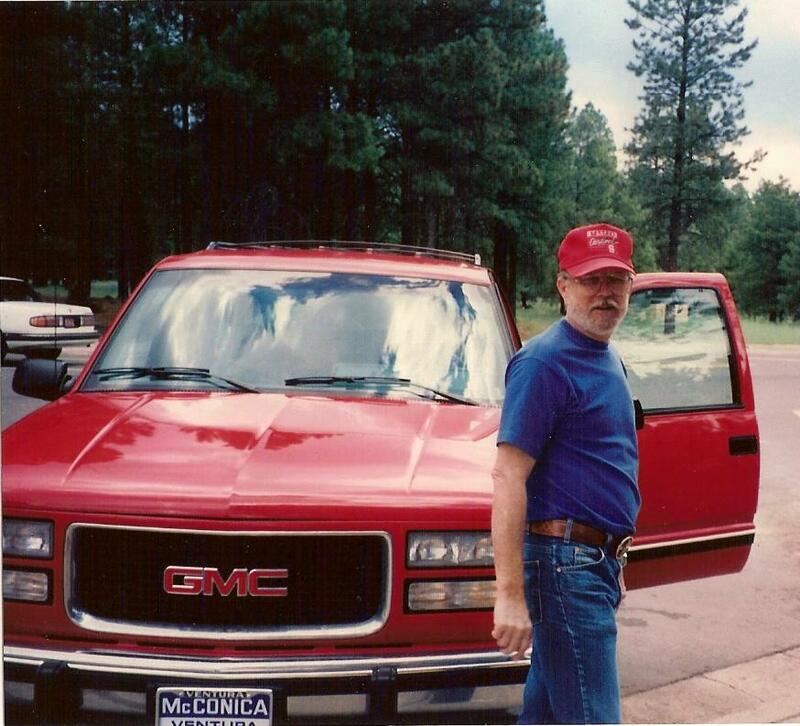 My story as a caregiver began in June of 2004. I graduated from Johns Hopkins Hospital School of Nursing in 1969 with a diploma in nursing and an ET diagnosis. At the time, with my platelets at 600,000, my doctor advised me to be wary of any medication since I might convert to leukemia. I shrugged it off and went on with my life. In 1978 moved to California, met and married the love of my life. In 1986 and 87, Mike wound up taking care of me for serious problems from untreated ET. A few years later it was my turn. My husband had two heart attacks in the early 1990’s. He had balloon angioplasty both times with some heart damage from the first attack. I had my first glimpse of the anxiety I would suffer from hanging out in hospitals concerned if my husband would live or die. Though he wouldn‘t quit smoking he seemed to recover. By 2000 he decided he had worked long enough and decided we would retire. For the first 4 years we had a wonderful time taking both long and short car trips. 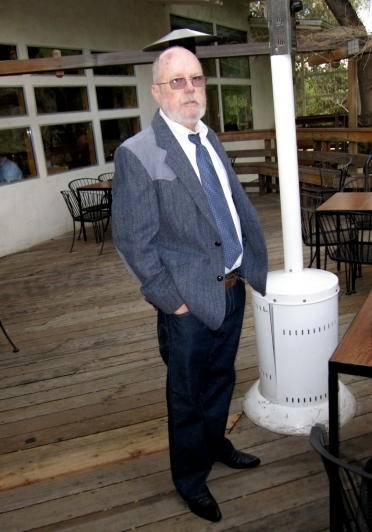 Being a California boy his one foray out of the state was in the early 1960’s when he served four years in the Air Force atBiloxi,Mississippi. He managed to make and stay friends with a few locals and he dragged me there kicking and screaming in 2001. I met the wives and felt like I’d known them forever. After the first visit we rented a condo every year and spent two months in the spring inBiloxi. It was on our drive home after our visit in 2004 that our lives changed. The third day out we spent the night 120 miles south ofEl Paso,Texas. In the morning at breakfast my husband complained of feeling uncoordinated. I looked at him and his mouth was drooping. I was pretty sure it was a stroke. We were somewhat lucky in that the small town had a hospital (that closed its doors three weeks after we were there). They sent him by ambulance toEl Paso. I drove the 120 miles with my heart pounding the whole way. 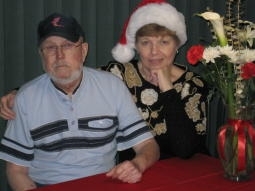 His stroke symptoms resolved but after several tests it was determined that his left carotid artery was 90% blocked and they insisted it had to be taken care of before we could continue our trip home. Unless we could afford an air ambulance. Because of his history of heart disease, tests determined that he also needed triple by pass surgery at the same time. Fixing one without the other could increase the chances of a stroke or heart attack by blood clot. It was his decision, and I know better, but to this day I wonder what the outcome would have been if we had jumped in the car and headed home. We had all day Sunday to talk about it, call family and worry. On Monday morning he went into surgery . And our life has never been the same. He came out of surgery, but shortly after being moved to the ICU his heart started fibrillating. He had to be electrically converted into a steady rhythm which probably caused major stroke number one. The cardiologist told me about the conversion but neglected to mention the stroke. The first time they let me in to see him it was apparent to me he’d had a stroke from the way his mouth sagged and his left arm was curled up. He did recognize me but thought he’d been in a car accident. And he wanted a cigarette. I was alone, in a strange city and I freaked. I had spent the last 16 years of my career both working in and then directing a mental health outpatient clinic for older adults. We saw a lot of folks with dementia, psychotic illnesses and depression. We worked with caregivers as well. I ran a group for caregivers, and I was about to find out I didn’t know what the heck I’d been talking about. But I knew something about what a stroke can do to a person both physically and mentally. I don’t ask for help easily, but then most people find it easier to give help than to receive it. Mike’s daughter, who at the time had a one year old at home, was kind enough to fly fromCalifornia to El Paso for the weekend to both see her father and give me the support I needed. I was glad I asked, as her visit got me through the next several weeks. Since describing his condition on the phone or by e-mail was difficult it made me feel better that someone else had seen how bad off he was. To make a long story and a month in El Paso (which is a very nice city full of very nice people) short, I‘m going to skip a lot of details. After two weeks in the ICU confused out of his mind and a doctor for every organ he was moved across the street for two weeks of rehab. He doesn’t remember anything from leaving Biloxi until “waking up” in the ambulance going to rehab. We were in a very good place for rehab. The facility had a cardiac rehab wing and a brain damage wing and worked everyone hard. When not with Mike, I spent time trying to get a good nights sleep, remembering to eat, and walking to get some exercise. I remembered the advice we gave about taking care of yourself but found it low on my list of priorities. My appetite was nil but I forced myself to eat. After two weeks my husband was using a walker, relearning to shower and dress himself (he hasn’t been out of T-Shirts and sweat pants since) and had quit choking when swallowing. We were ready to head home. And again my family came through with some help. My brother flew out from California to help drive us home. I had a lot of concerns about things I’d seen others deal with. Sometimes a stroke will make a person irritable and very cranky. They have spotty memory and make bad decisions. They don’t want to give up driving when they should. They lose a lot of drive, ambition and motivation. But it was early in the process and I was hopeful my husband would fully recover. I was still seeing flashes of his old self and his warped sense of humor. The first 6 months were a flurry of out-patient physical therapy, occupational therapy and speech therapy appointments along with a lot of tests and appointments with local doctors and surgeons. There were also some grab bars to add to the bathrooms, tall toilets to have installed and other practical considerations. One day he ditched the walker and after another week decided he’d had enough therapy. His left arm was still weak but would do what he wanted. It was one of the first times of many, I had to decide how much of me was going to be the nagging nurse or his loving wife. Regarding therapy I chose to be the wife. Though his body responded pretty well his mind was another matter. Mike never has driven again though his doctor and the state of California said he could. He tried it once and even he knew better. His recent memory was spotty and I didn’t trust his judgment so I became the brains of the outfit without much of a fight from him. I took over the finances , shopping, taking care of the vehicles, coordinating our medical appointments and medications. He helped out when he could; Walking down the block to get our mail, helping to unload light groceries from the car and giving me instructions on fixing the toilet. He brought me Jell-o when I was sick from chemo in 2006 and made us peanut butter sandwiches when I had knee surgery in 2007. And he was almost less irritable and cranky than before his stroke. When I had to buy a car to replace our 1989 Camry with over 250,000 miles on it I went by myself. Our vehicles, as everything else in our marriage, had always been our cars. Not mine or his but ours. The new car became mine. I mentally fought with myself about the pronoun and still try to say our car, but more often than not it comes out my car. going to flea markets, antique shows and antique malls just about anywhere we felt like going. And chasing snakes in the desert. Both selling that Suburban we had had so much fun in, and the realization that our ideas about fun and retirement had to be revised depressed us both. We did manage to take a few trips by air in 2008 and 2009. Once to visit his daughter and the grand kids in New Jersey and once to Biloxi to visit and to see what Hurricane Katrina had done. Mike is a white knuckle flyer so it was a big deal for him to go. Plus he had developed some anxiety about leaving our house. Then in August of 2010 Mike got up to go to the bathroom and fell. His left side wasn’t working. He’d had another stroke. He wanted to die because he didn’t feel he’d have a very good quality of life. But it’s not always our choice so he kept on going. Because he wasn’t in very good physical shape to begin with, he couldn’t go to a rehab facility like he had in El Paso. One had to be able to do physical therapy or occupational therapy four or more hours a day, and he couldn’t. The idea of going to a nursing home scared him and me to death. We were familiar with the nursing homes in our area from our working days. Again I asked for help, and my brother-in-law and I went and visited every possible contender. I chose one that was only about a mile from our house. Partly so I could visit often and keep an eye on things, but mostly because their physical therapy program was impressive and took place 7 days a week. The first night I had to leave my husband alone and helpless on his own, was one of the hardest things I’ve ever done. And the next day when I went in and found him in adult diapers was the second. I cried for days. Here was this very private and dignified man stripped of it all. He wasn’t incontinent. He knew when he had to go but learning to use a urinal one handed is tricky. It took a while but he figured it out. Then if the urinal wasn’t emptied by the time he needed it again he’d dump it on himself and be wrongly accused of not calling for help. He was never wet when I was there to help him so finally after a lot of yelling on my part, the aides became more helpful and the diapers disappeared. Mike couldn’t always remember things but he was alert enough to speak up for himself. And rein me in when I got too angry and needed to yell at someone. He reminded me that he was at the mercy of other people he did not want angry at him. In fairness he did have some very good aides. Once they got used to him he got very good care. In fact after two months when it was time for him to come home I’m not sure he wanted to leave. The fact that he even liked the food doesn’t say much for my cooking. Physical therapy worked hard with Mike and got him up and walking with a quad cane. His left arm and hand are still pretty useless despite a lot of therapy. One of the discharge criteria was that he needed to be able to help me get him off the floor if/when he fell. I was so glad we did that. He hasn’t fallen as much as I expected, but when he did we knew how to get him up without either of us getting hurt. Meanwhile at home I was again rearranging things. 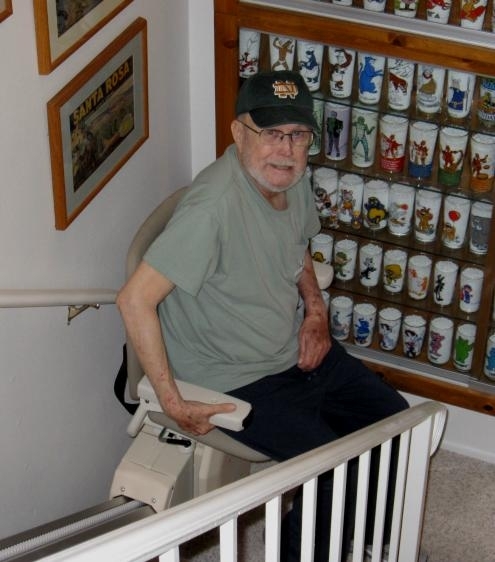 I had a stair lift put in. It was cheaper than moving. I moved out several display cabinets so there would be more room and fewer glass doors for Mike to fall into and took away any thing he could trip over. This past year has been a roller coaster ride. Since his left hand doesn’t work and he needs his right hand to use the cane, going to the kitchen to get water or coffee and carrying it back to his chair himself is impossible. He needs more help than before the second stroke and I can‘t really leave him alone for much more than a trip to the grocery store. Mike’s been admitted to the hospital twice since. He’s been in the ER more often, the last time after a fall in which he cracked a rib and turned out to have very high blood sugar. I’ve learned to keep a bag packed with water bottles, a sweater, and a good book for me and a list of Mike’s medication that I update every month. I’ve learned to cry “uncle” before I reach the end of my rope and have found friends, family and nursing agencies (for a fee) more than ready to help. I’ve learned that I function better if I get a good night’ s sleep, though easier said than done. I haven’t learned to live with that other shoe hanging over my head, waiting for it to drop. Worry is always there. And some guilt. Am I doing enough or too much for him. Am I communicating with his many doctors clear enough to get him the care he needs, etc. her sisters who are all dead now. I figure they are more likely to take an interest in the details of my life and put in a good word for me. I’ve learned that people are full of suggestions without understanding the details or emotions involved . We’ve learned that a lot of handicapped bathrooms aren’t. But my husband is still good company and I will take him anyway I can have him for as long as he is not suffering. © Barbara Kurtz and MPNforum.com, 2012. Unauthorized use and/or duplication of this material without express and written permission from this blog’s author and/or owner is strictly prohibited. Excerpts and links may be used, provided that full and clear credit is given to Barbara Kurtz and MPNforum.com with appropriate and specific direction to the original content. Barbara your love for Mike is so real, so vivid. May peace be with you as you rebuild your life. You not only handled your illness but also took care of your husbands. God Bless you. Barb, I believe we were classmates at Mt. Lebanon High School, 1966. I am Mike D’Andries and I was looking for another Kurtz when your picture popped up. The picture led me to the inspiring article “The Caregiver” at MPNforum. 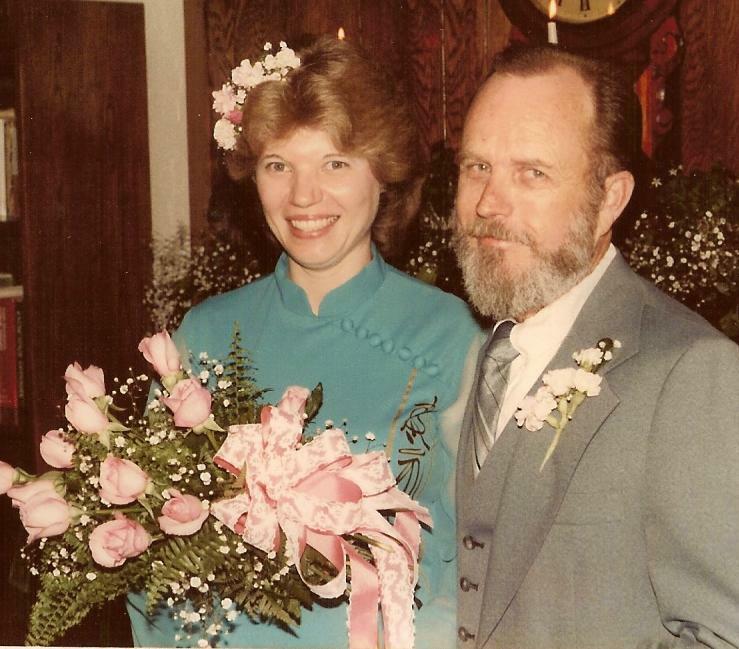 I cannot image how you were able to face all these challenges, to care for your husband, when you were in El Paso alone, away from home and with your own health issues and to keep up the care for years. 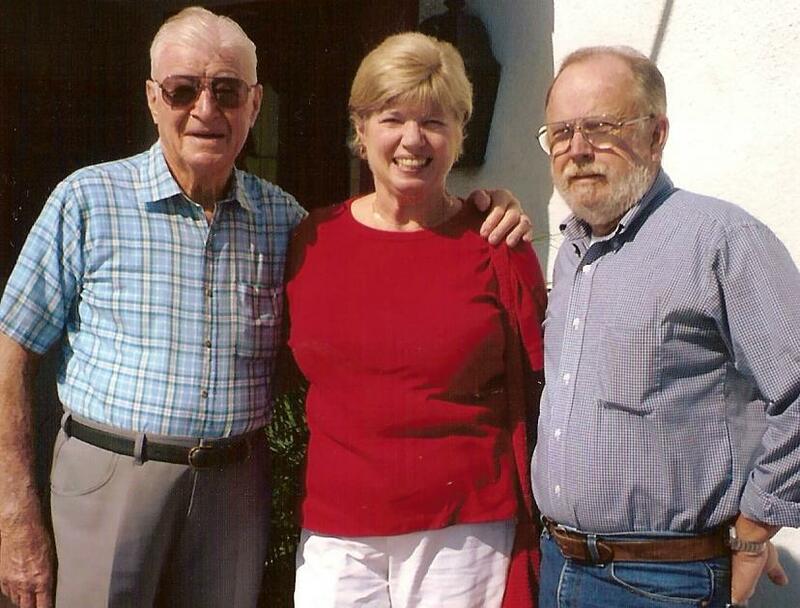 My father and mother needed care when dad had a series of strokes and mom was diagnosed with Alzheimer’s. But I had major help from family living in the Pittsburgh area. But I remember the feeling of helplessness which you describe in your article. But unlike you I had a brother, his wife and a host of relatives to call on. My brother and his wife moved back in with mom and dad. But the caregivers needed “breaks” and we got help from the Veteran’s Administration, the State of Pennsylvania, and Allegheny County. The VA and the State provided funding for a professional caregiver to come in 4 days a week and we paid for the other 3 days. The county provided a transportation service to get mom or dad to appointments. So we had a large cast providing support to mom and dad. You are alone. It is amazing that you are able to accomplish all you do. In addition I wanted to point out to you that our class has developed a web site anticipating our 50th anniversary. If you get a minute in your busy schedule you might want to visit the site. The address is http://www.lebo66.com You may want to fill in information or just your e-mail. Sorry if I have intruded. Barbara, you have my love and admiration, both of you. My husband’s glioblastoma killed him so quickly that he never came home from hospital and I wonder whether I could have managed the wonderful care and strength you have shared with us. Barbara – you are to be admired for managing your own ET disease, enduring treatment and surviving breast cancer, and being a primary caregiver to your husband. You have an inner strength and inner beauty — your article speaks to the heart of a caregiver. God Bless you. What an honest, candid story – any one of us could be faced with the same caretaker situation you are in in a heart beat. Thanks for sharing what you’ve learned. And may you have lots more of your husband’s good company! Well done, B.A. Nope, it’s more than that, Wonderful! Makes my corner for this month superfluous at best. A beautifully written exposition of the tenacity and loving kindness inherent in the human spirit. I am biased being married to an RN for 62+ years, but I, and I’m sure many others, would very much enjoy your writing about your student and/or graduate nursing experiences with your unique ability to temper loving care with competent responsibility. Think about it , please. Best, A.
Arch There is nothing superfluous about your corner this month. It ties right in with having a loved one in a nursing home. And seeing who else lives there. 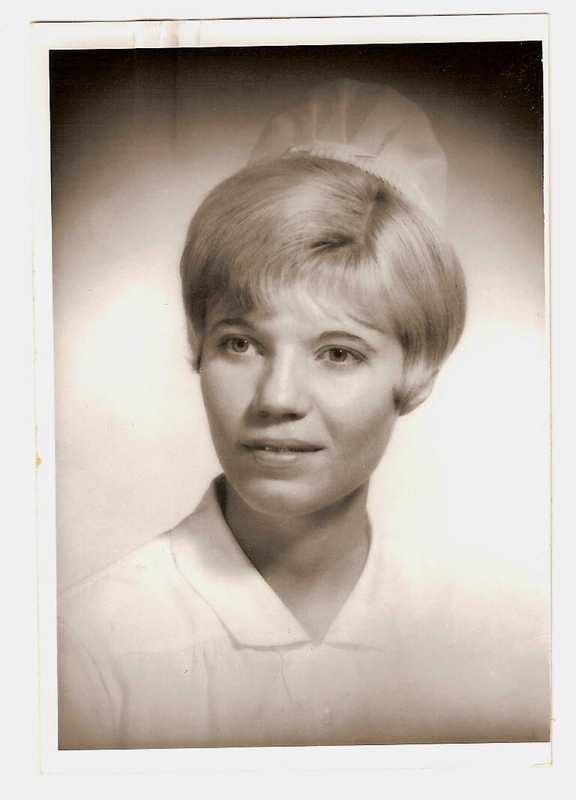 I was a student nurse in the late 1960’s. At Johns Hopkins in Baltimore. As the saying goes if you can remember the 60’s you weren’t there. But thanks for the vote of confidence. Wow, Miss Barbra, you have certainly have had more than one can chew. What a challenging time you had but somehow you did cause you had too. You are one strong woman!